I am doing something a little different today. I thought I would share a video of a recent Etsy find of mine and a gift from my mother. So enjoy my short post today with a video. 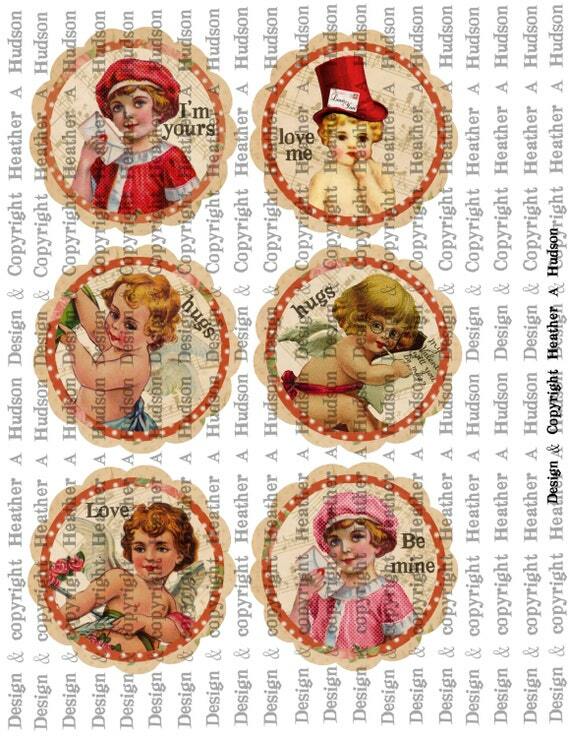 I just wanted to share with you a few new Digital Collage sheet sets that I have newly listed in my Etsy. 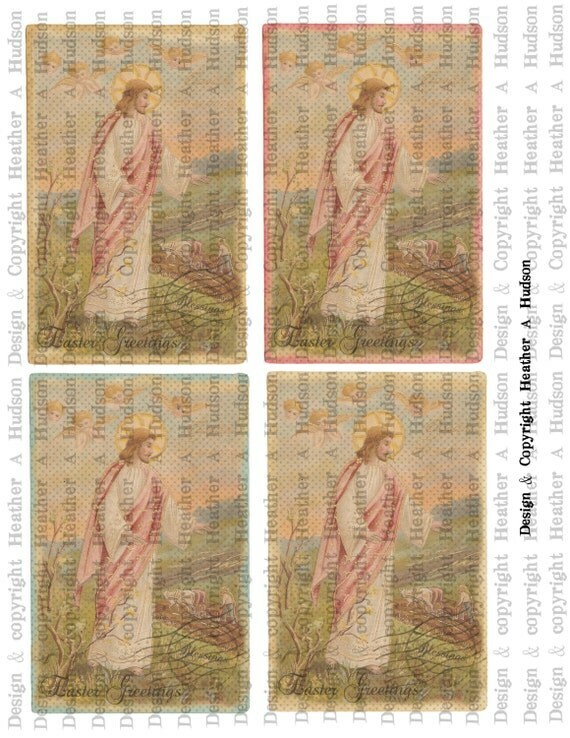 I have a few new Easter Post Card Images. I have also done some Plain Bingo Cards, that one of my followers requested. 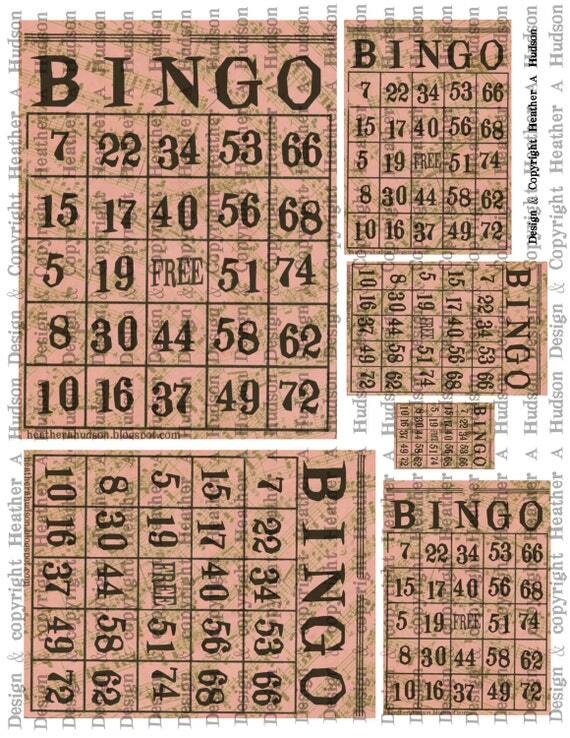 The sizes of the Bingo cards will work well for Value Pack Card stock cards that you can find at your local craft stores. 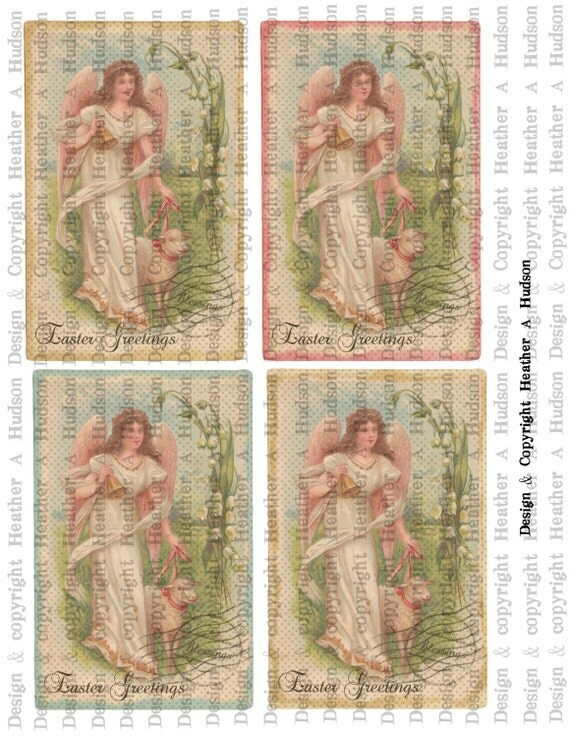 The upper Left will work nice on the 5 by 6.5, the one in the upper right works great for ATC's and my Fancy/Traditional Tag bases, the one below it will fit on my smaller tag bases, the smallest one I thought could work as a charm, then the last one is another ATC size, I like to use that size, it is versatile. I also have some different style Bingo Cards...I am calling them my "Dream Cards." 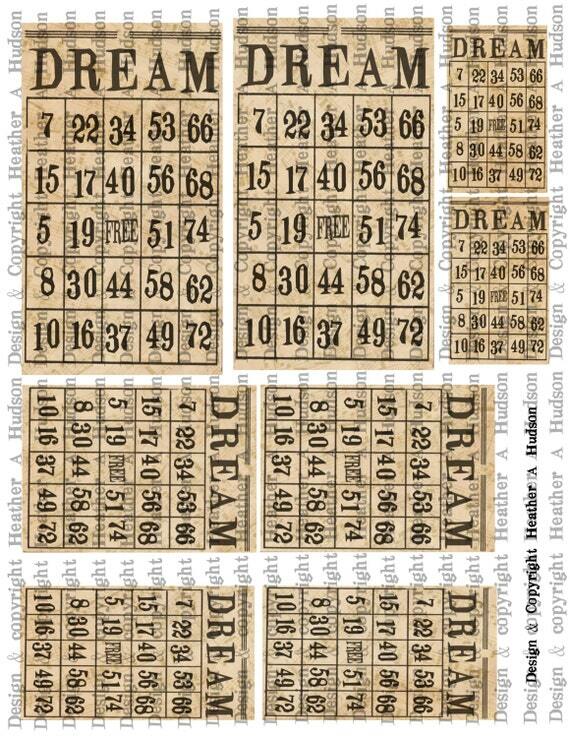 I have created the bingo card to be slimmer and taller and used the word DREAM at the top. 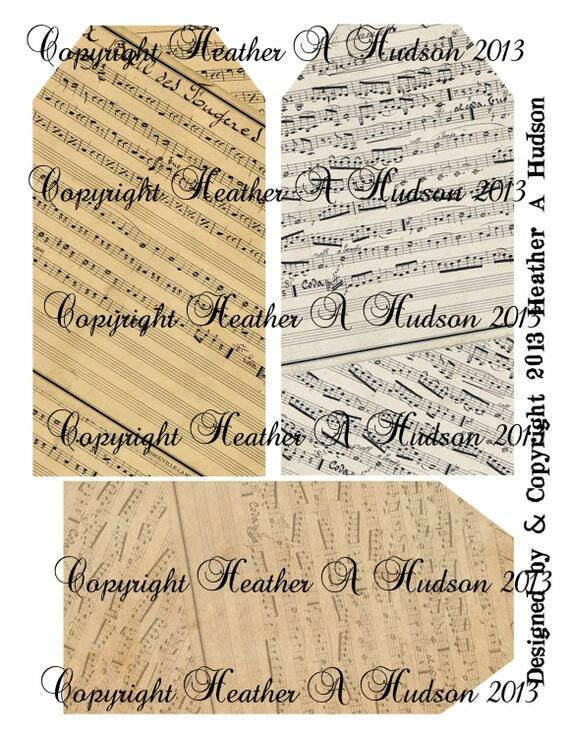 Music Tags, Back To School Tags and School Tags which measure 6.75" tall by 3.5" wide. 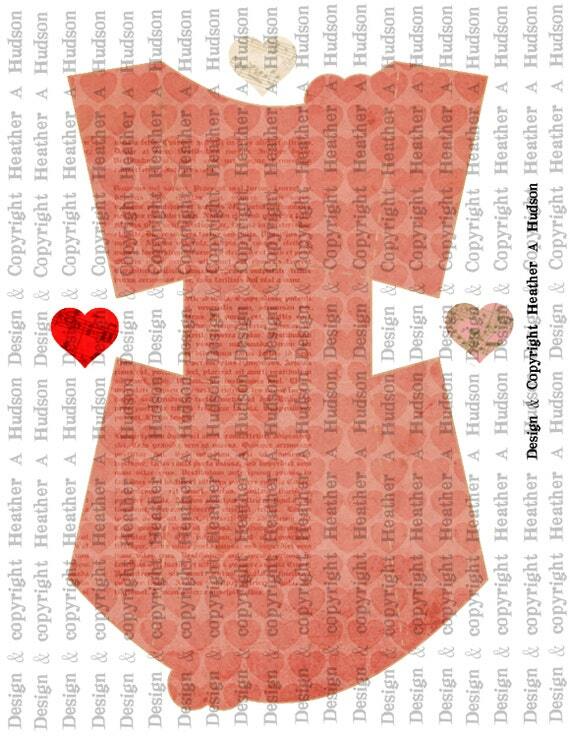 I will be creating more tags this size in the future. When designing these, I included a heart shape at the top of the front and back of the box. You will see why below. 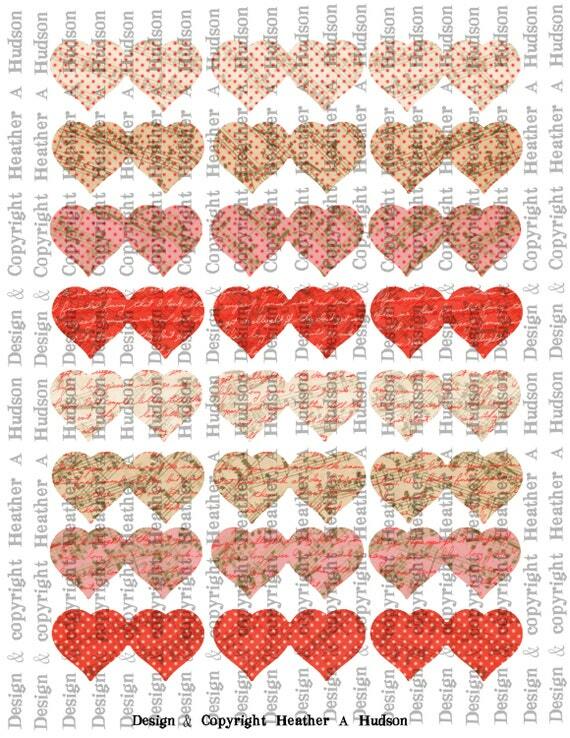 Each set will come with the three little hearts that will fit in the spaces provided. 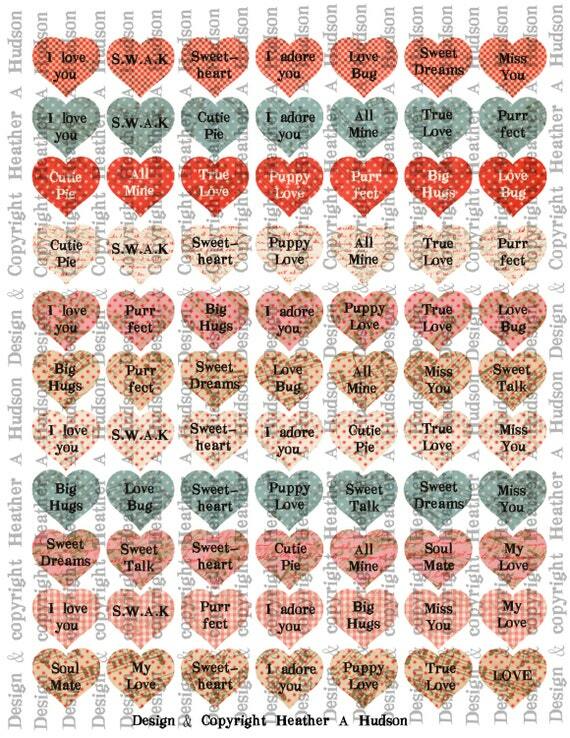 My Tiny Conversation Hearts/Focal Hearts will fit in here as well. 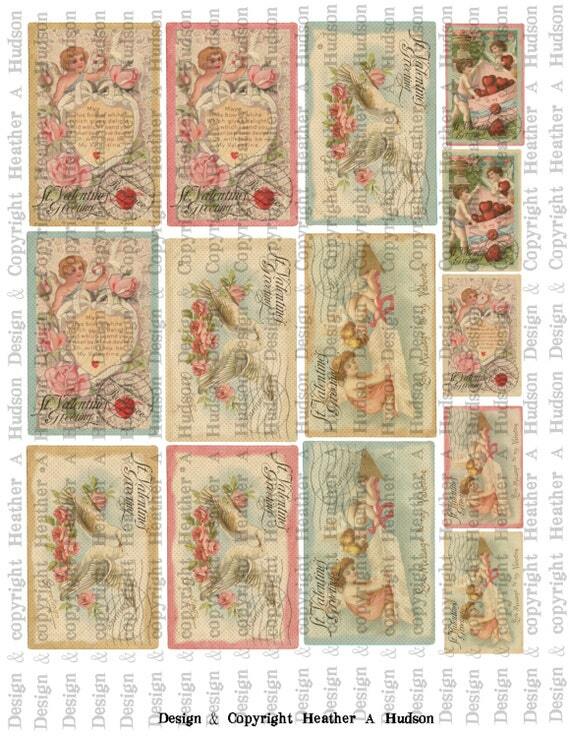 Each of these sets comes with 2 sheets. 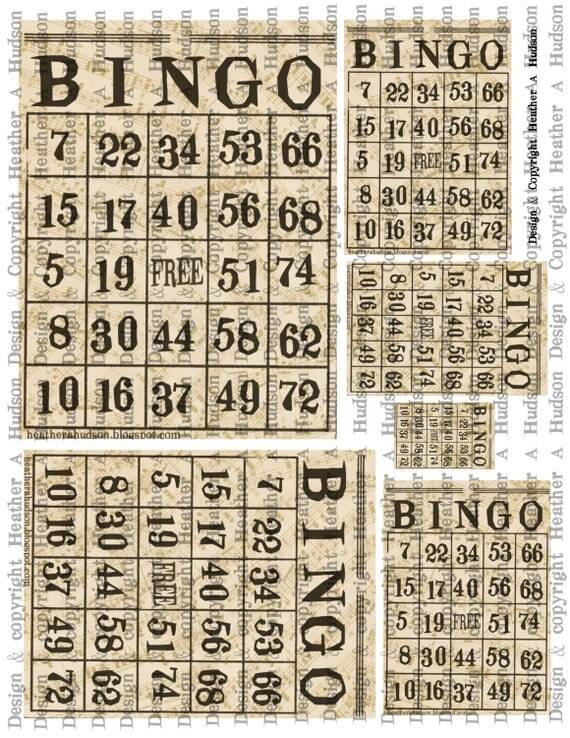 They are $6.00 per set. 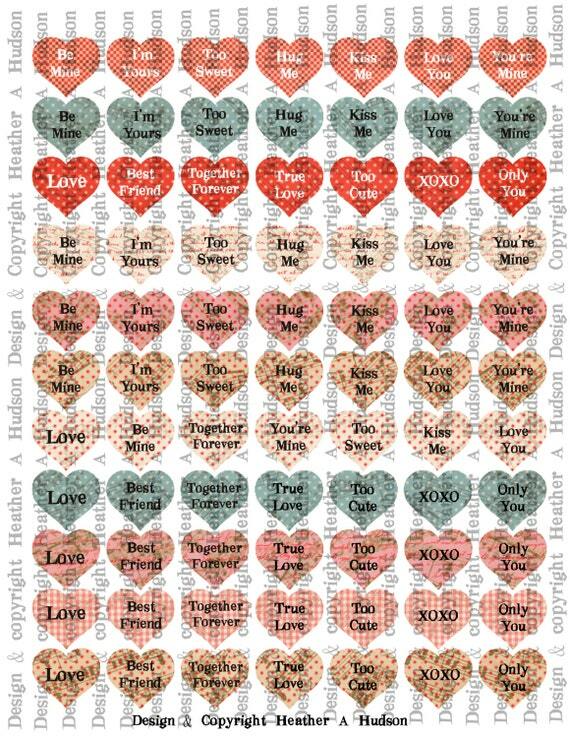 My valentine's Day Focals $10.00 (three sheets) the smaller size fit great on the front, and the larger ones fit great on the inside back or if you want to decorate the back...they fit great there. I will have some examples of these finished in a couple days!! Hello Friends!! 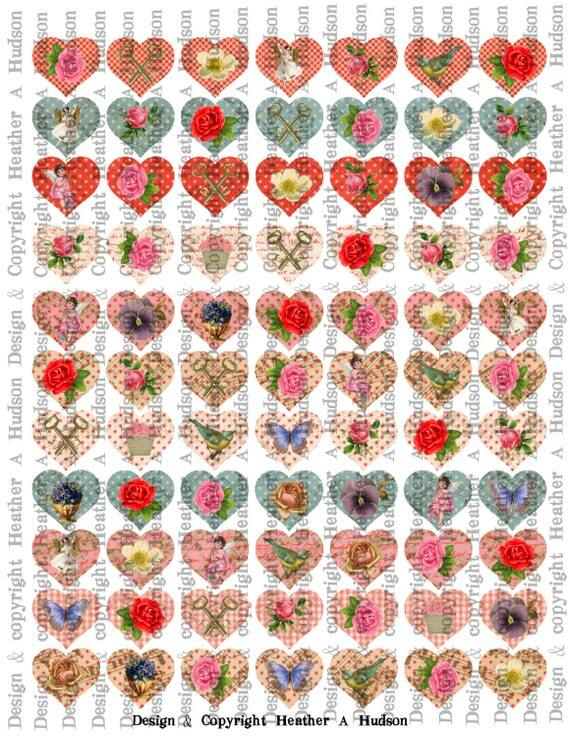 Today I would like to share with you a soft and sweet Vintage inspired Valentine's Day Heart Banner. Well I love how it turned out, but I decided to take it apart and put it back together...LOL. Somehow when I was doing the video, I didn't pay attention to what banner I put on when...LOL...So I put both of my Pink bow pieces next to each other instead of on either side of the blue bow. 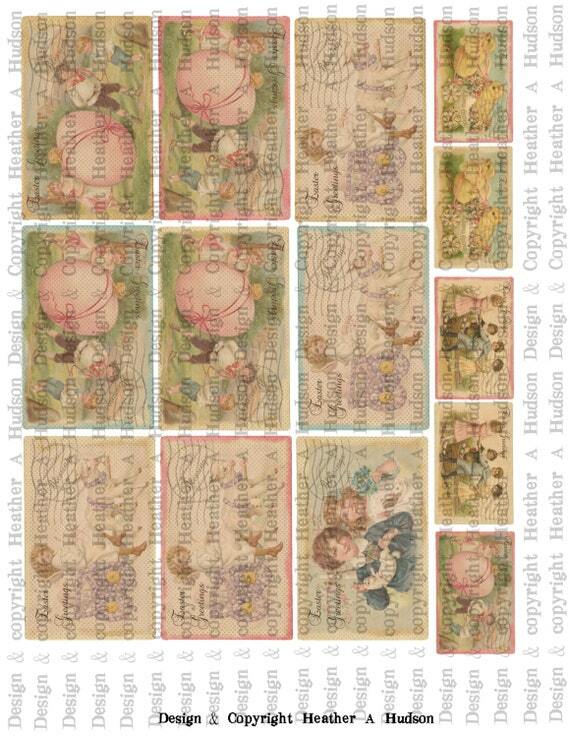 Here is a close up of each banner piece. I used my new Bow it All tool to create all of my fabby bows. 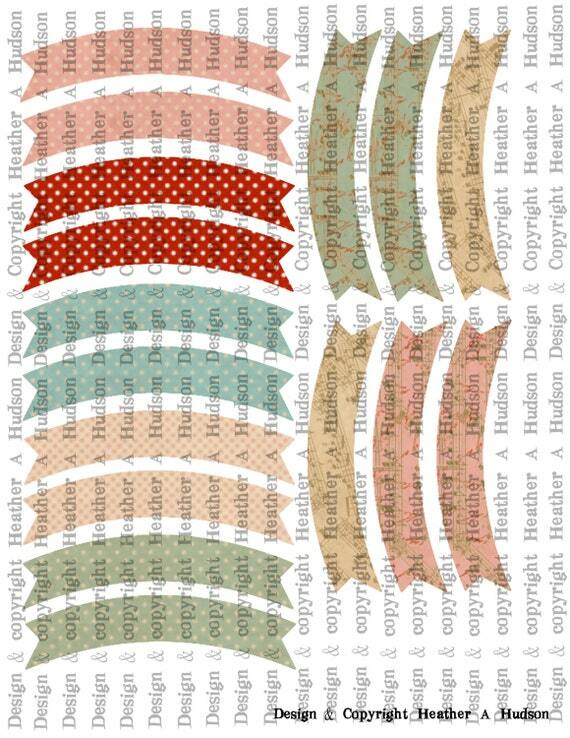 Here are the wonderful ribbons, trims and flowers that I used from Really Reasonable Ribbon in today's project. 15mm Deep Ivory Mulberry Roses, ivory pom pom trim, Two Tone Pink Textured Ribbon, Two Tone Light Blue Textured Ribbon, Cotton Candy Baker's Twine, Teal Baker's Twine, Blueberry Pie Buttons, Havana Brown Seam binding and Buttons. I Started off with a couple of my digital Collage sheets. 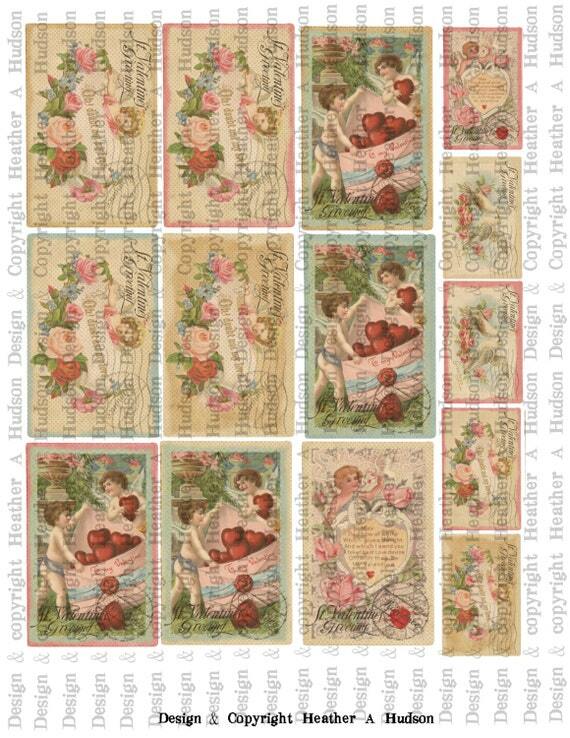 Valentine's Day Post Card Sheets. 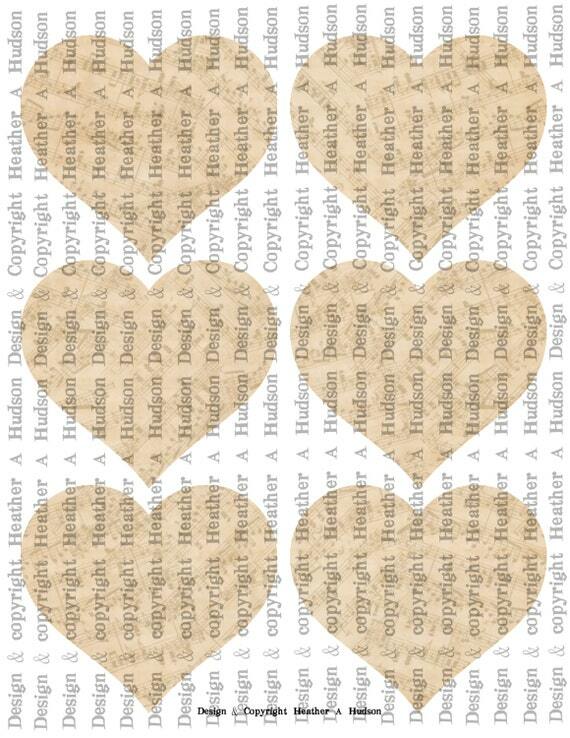 The Basic Cream heart Digital collage sheet, Curvy Vintage banners. You can see how I made this below. I hope those of you that live in my area are keeping warm!! I'm thinking next year I will look into getting a nursing license in Florida or a warmer state...and fly south for the winter...lol! 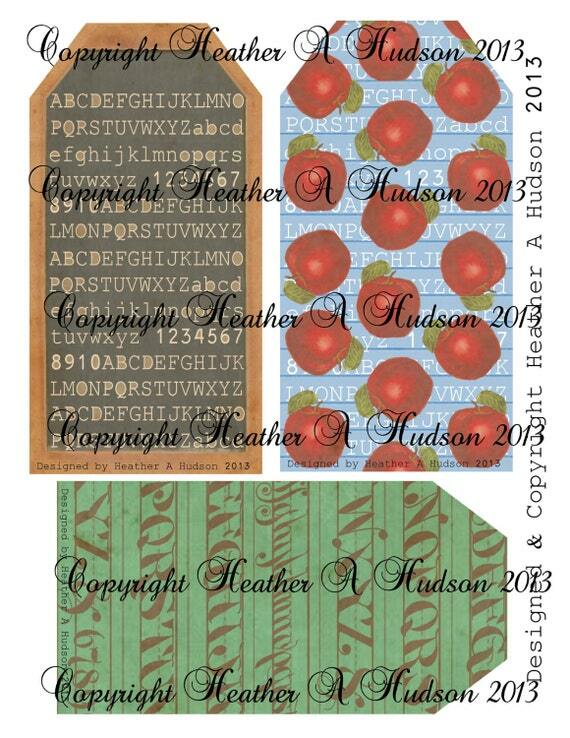 Here are a couple of collage sheets that I designed that hopefully will warm you right up! 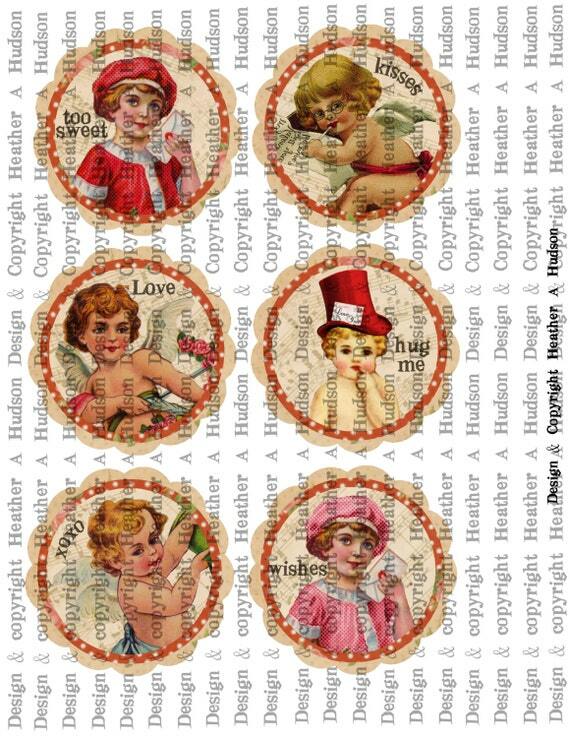 Victorian Romantic Valentine's Day Post Cards in my Etsy here. 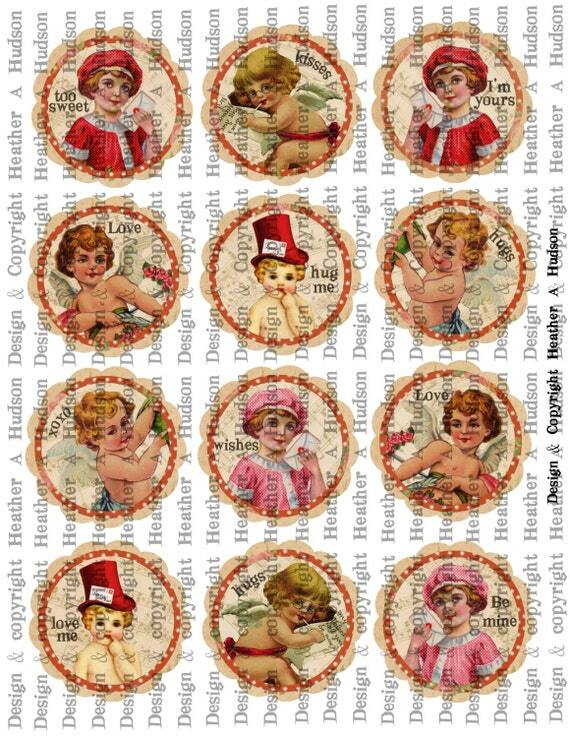 Vintage Shabby Chic Easter Post Cards Digital Collage Sheets in my Etsy here. I hope you enjoy my sheets! 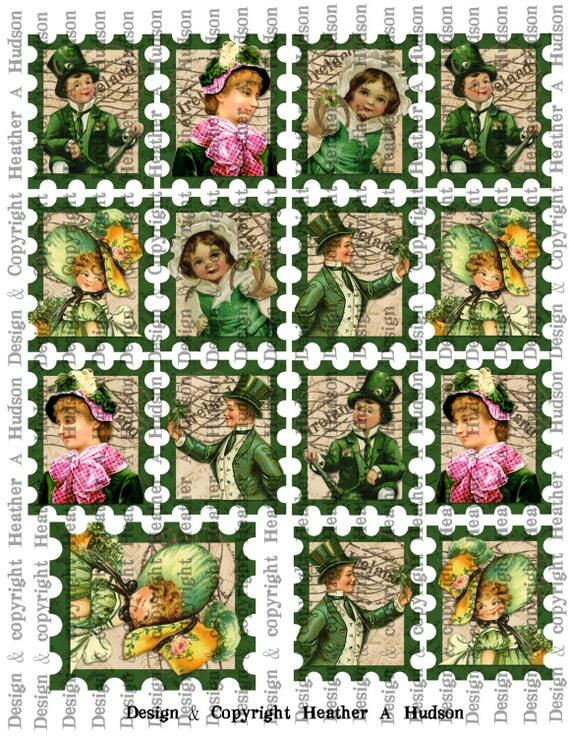 St. Patrick's Day Collage sheets I made. 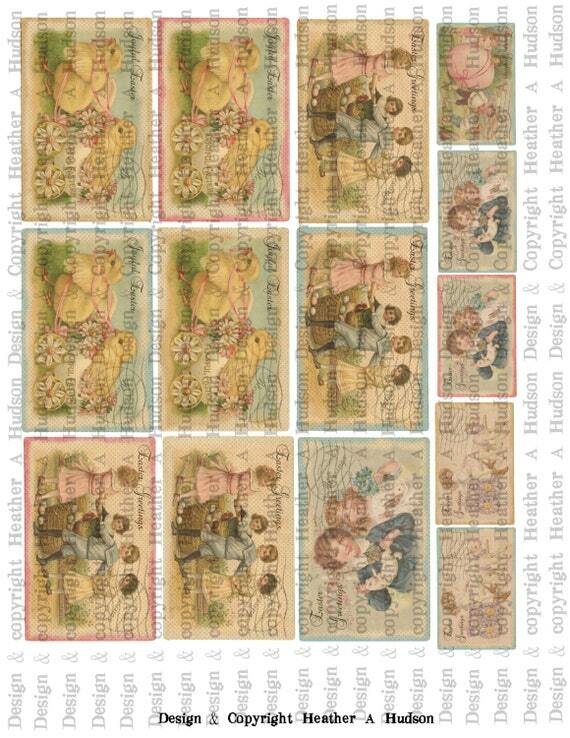 I created my own stamp template, and then did my sheets. 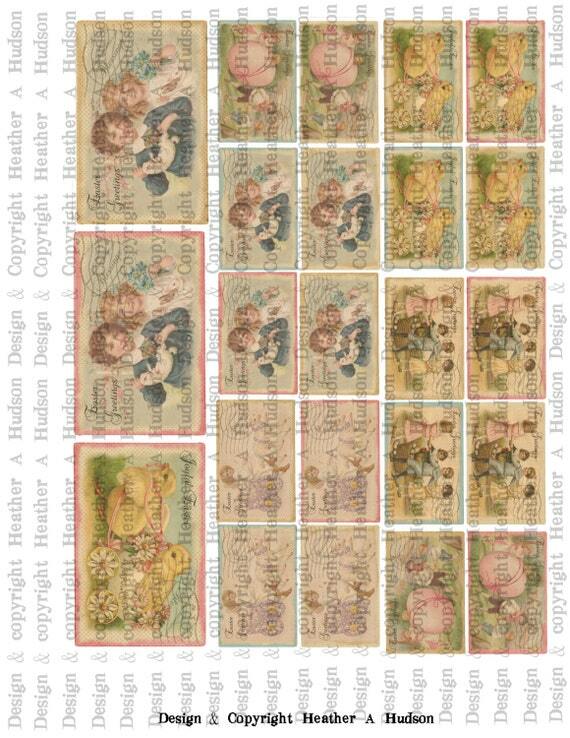 I had thought about making them multiple layers, but then decided to stick to the flat stamps. 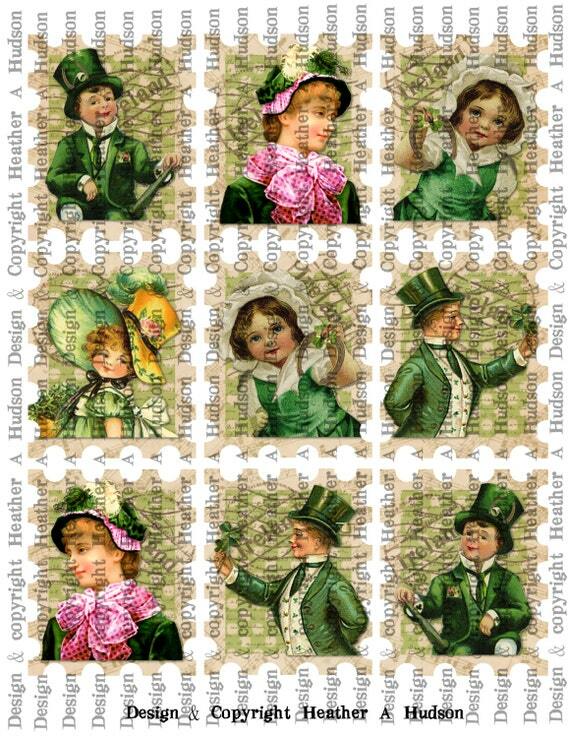 I took a few original St. Patrick's day images and changed them up just a tiny bit. 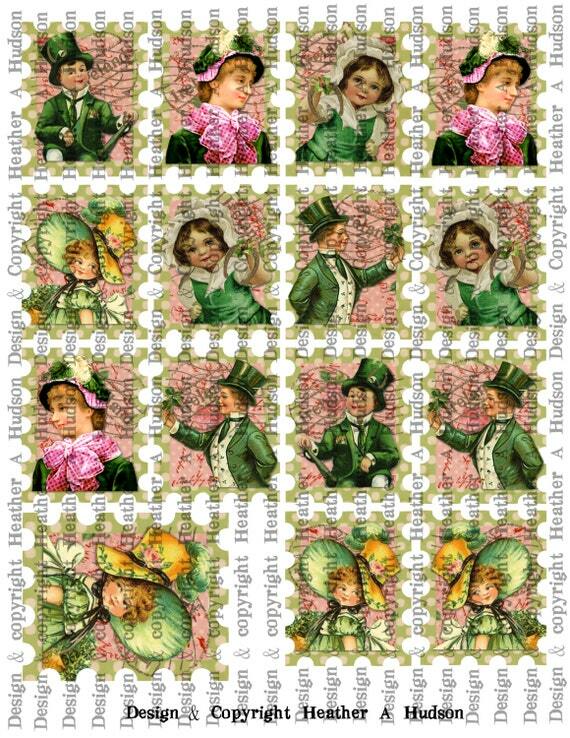 Shabby Pink & Green can be found in my Etsy here. The Boy in the upper Left, I added a pocket to his jacket, and stuffed it with a horse shoe for good luck, a rose, some leaves and a tiny white flowers. 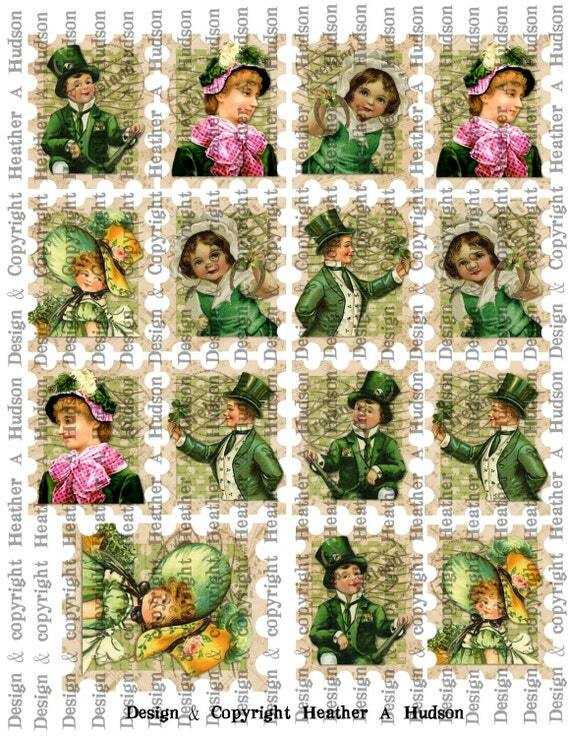 I also gave him a horse shoe tucked into his hat...lol...probably heavy for the little guy...lol I also gave his tie some polkdots, which is hard to see on the tiny images. 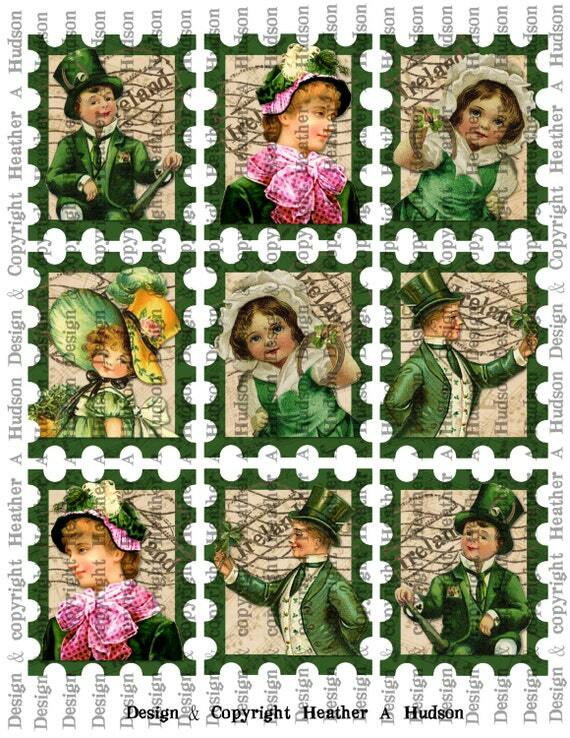 Traditional Green St. Patrick's Day You can find in my Etsy here. 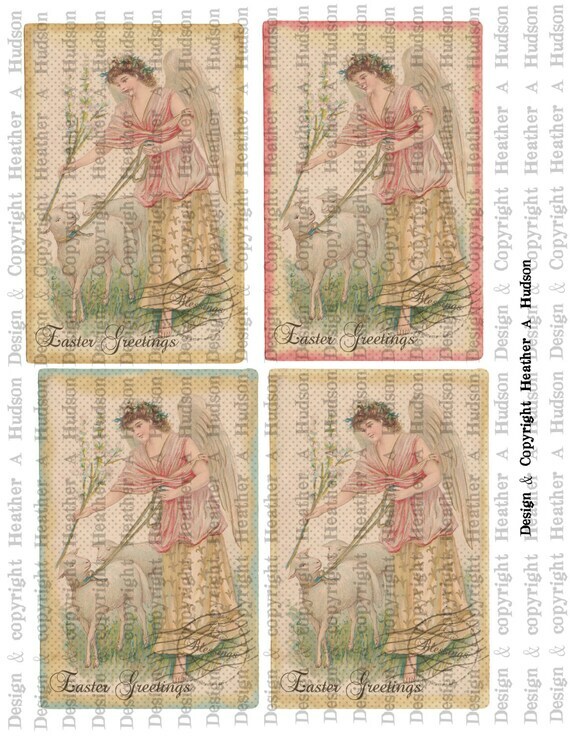 I also decided to change the color of the scarf on the sweet Graphic Fairy image that I used on the center stamp below (I changed it for all the sheets but it stands out the best on the sheet below). I changed it to a pink, and gave it some polkadots. Light Green You can find in my Etsy here. The little girl all the way to the right, she was part of a cute little couple, I took out the boy, they both didn't fit in the stamp well. I gave her a new Left arm and then added the sweet little horse shoe, with roses, flowers and leaves for good luck. Of course when you look this sweet, who needs luck :0). 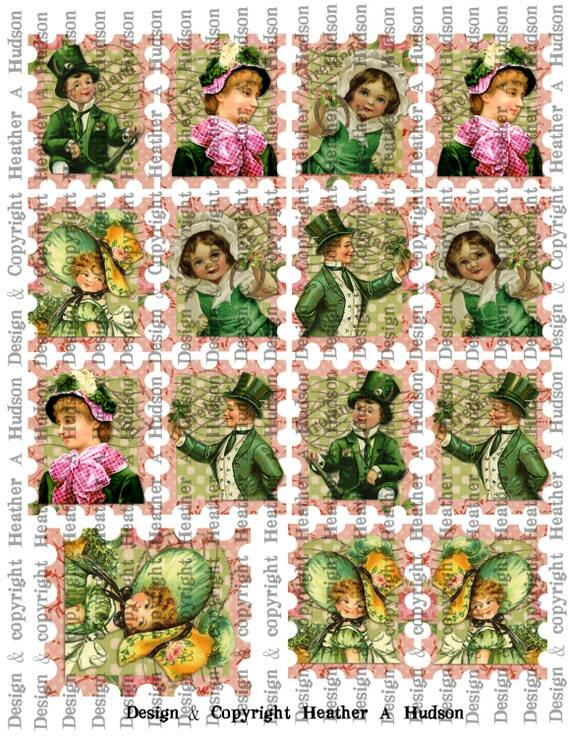 Another Shabby Green & Pink can be found in my Etsy here. "Ireland." I am quite happy with how they all came out. I just could't decide what color combo I liked best, so I figured I would let you pick for yourself. 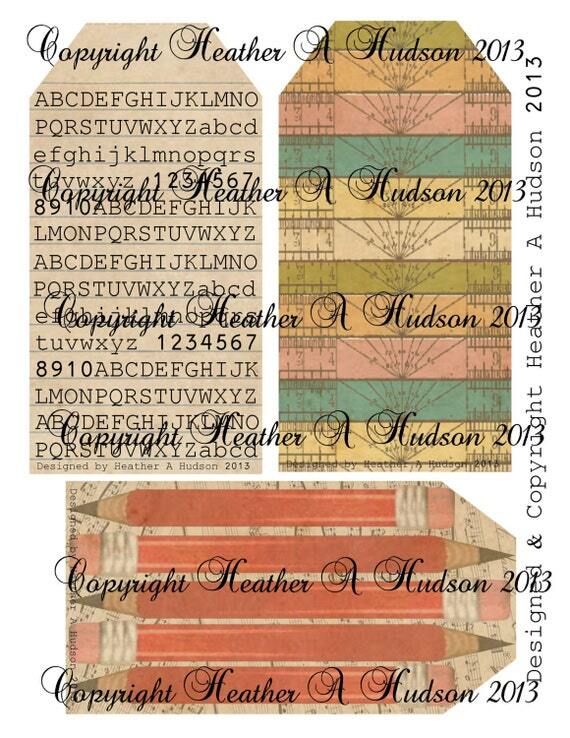 I know it is crazy, but everyone has their own idea of what colors they like, or what colors will fit with their decor. 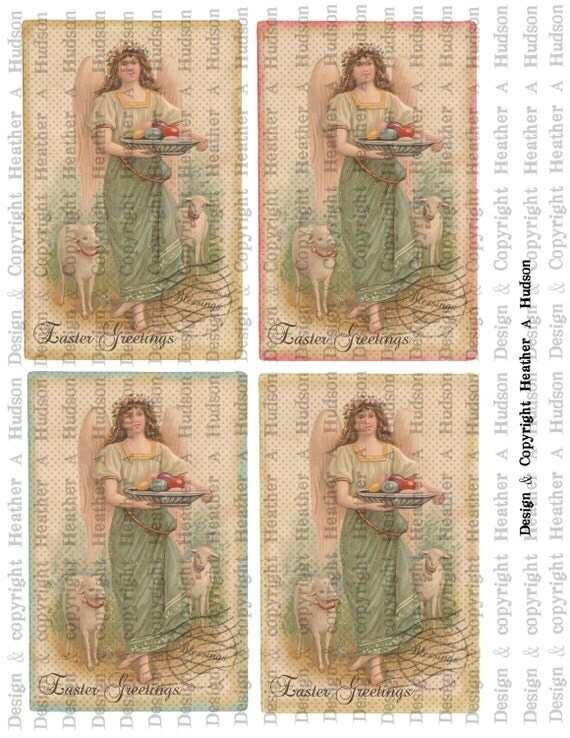 It could be that you are doing a card or tag, and need something with a lighter color border....or darker color border. 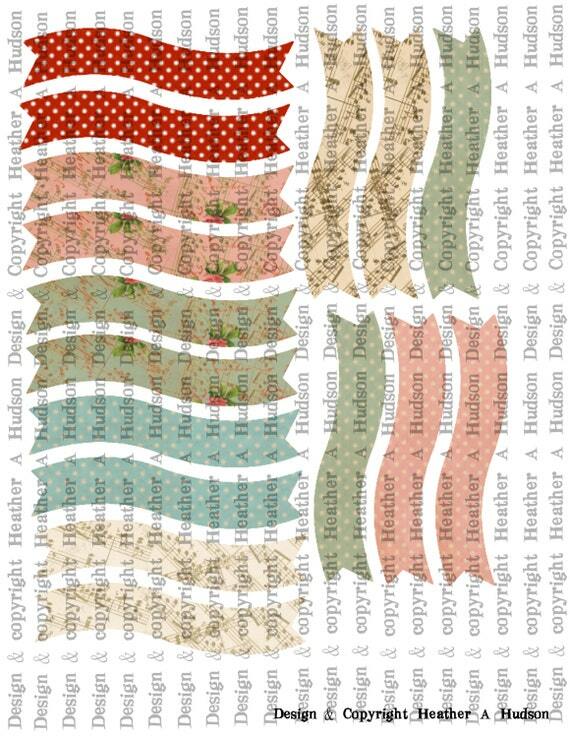 So they are all in my Etsy for instant download.